Sameet Chavan of Angel Broking said Nifty is likely to head towards the next junction of 10,970 first and then to test 11,150. The market closed a rangebound session on a flat note on January 16 amid lack of domestic and global cues. Investors are closely monitoring December quarter earnings. Benchmark indices failed to extend previous day's sharp rally with the 30-share BSE Sensex gaining only 2.96 points to close at 36,321.29 while the Nifty 50 rose 3.50 points to 10,890.30 and formed 'Doji' kind of pattern on the daily scale. "We can term it as a breather after the confirmation of 'Bullish diamond' pattern. 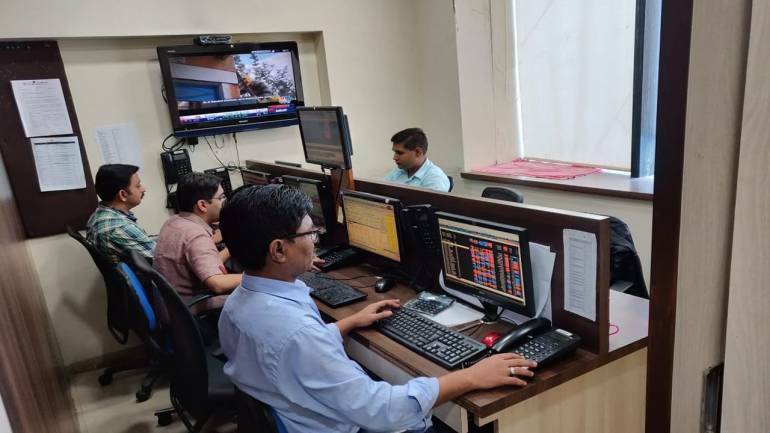 We reiterate that the Nifty is likely to head towards the next junction of 10,970 first and then to test 11,150," Sameet Chavan, Chief Analyst-Technical and Derivatives at Angel Broking told Moneycontrol. On the flipside, 10,820 followed by 10,777 remain to be strong supports, he said. "Till the time we see Nifty picking up the momentum again, one can remain focused on individual stocks in order to get better trading opportunities," he advised. A 'Doji' is formed when the index opens and then closes approximately around the same level. However, it remains volatile throughout the trading day which is indicated by its long shadow on either side. The candle appears like a cross or a plus sign. "The market direction in the coming days would depend to a large extent on the earnings season that is coming up and also the developments around US government shutdown, Brexit and further monetary actions from China," Joseph Thomas, Head Research at Emkay Wealth Management said. The broader markets also closed flat while the sectoral trend was mixed. 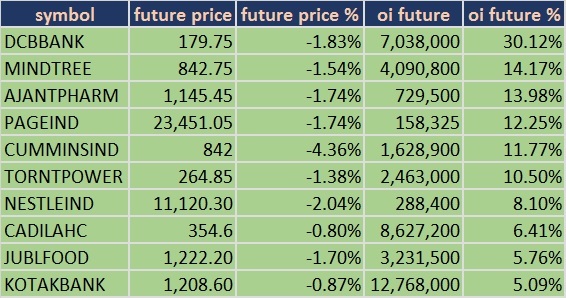 Nifty Bank, IT and Pharma indices gained 0.3 percent while Auto, FMCG and Metal fell 0.2-0.7 percent. The Nifty closed at 10,890.30 on January 16. According to Pivot charts, the key support level is placed at 10,868.74, followed by 10,847.17. If the index starts moving upward, key resistance levels to watch out are 10,920.04 and then 10,949.77. The Nifty Bank index closed at 27,483.7, up 82.95 points on January 16. The important Pivot level, which will act as crucial support for the index, is placed at 27,406.26, followed by 27,328.83. On the upside, key resistance levels are placed at 27,557.96, followed by 27,632.23. 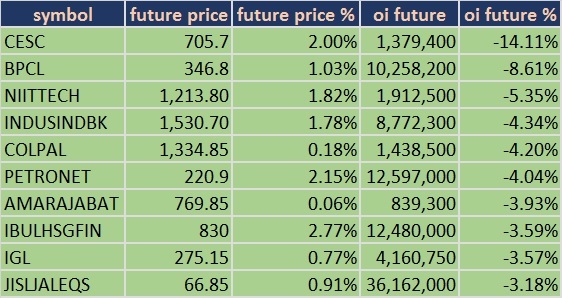 Maximum Call open interest (OI) of 36.44 lakh contracts was seen at the 11,000 strike price. This will act as a crucial resistance level for the January series. This was followed by the 11,200 strike price, which now holds 33.62 lakh contracts in open interest, and 11,100, which has accumulated 29.73 lakh contracts in open interest. Meaningful Call writing was seen at 11,200, which added 1.67 lakh contracts. Call unwinding was seen at 11,000 strike, which shed 4.1 lakh contracts, followed by 10,900 strike which shed 4.1 lakh contracts, 11,100 strike which shed 2.8 lakh contracts, and 10,800 strike which shed 2.6 lakh contracts. Maximum Put open interest of 35.89 lakh contracts was seen at the 10,700 strike price. This will act as a crucial support level for the January series. 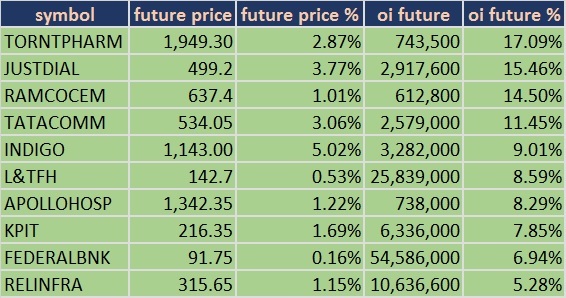 This was followed by the 10,800 strike price, which now holds 34.93 lakh contracts in open interest, and the 10,600 strike price, which has now accumulated 28.2 lakh contracts in open interest. Significant Put writing was seen at the strike price of 10,900, which added 2.1 lakh contracts, followed by 10,800 strike which added 0.09 lakh contracts and 11,100 strike which added 0.19 lakh contracts. 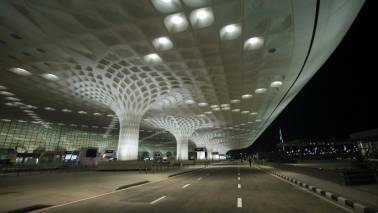 Put unwinding was seen at the strike price of 10,700, which shed 4.5 lakh contracts, followed by 10,600 strike which shed 2 lakh contracts and 11,000 strike which shed 0.52 lakh contracts. 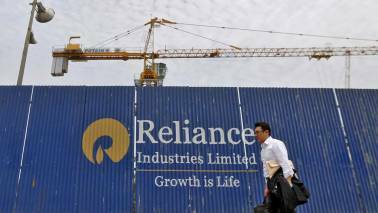 Foreign Institutional Investors (FIIs) sold shares worth Rs 90.1 crore and Domestic Institutional Investors bought Rs 304.27 crore worth of shares in the Indian equity market on January 16, as per provisional data available on the NSE. MCX: Company's officials will be meeting Unifi Capital on January 17. 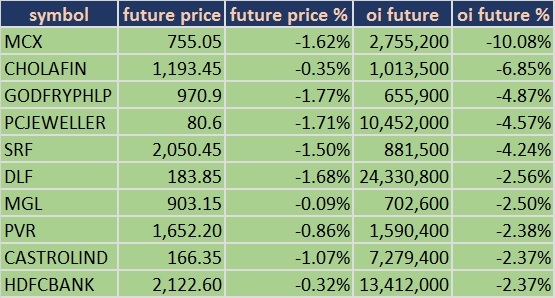 For January 17, Adani Power and Jet Airways is present in this list.